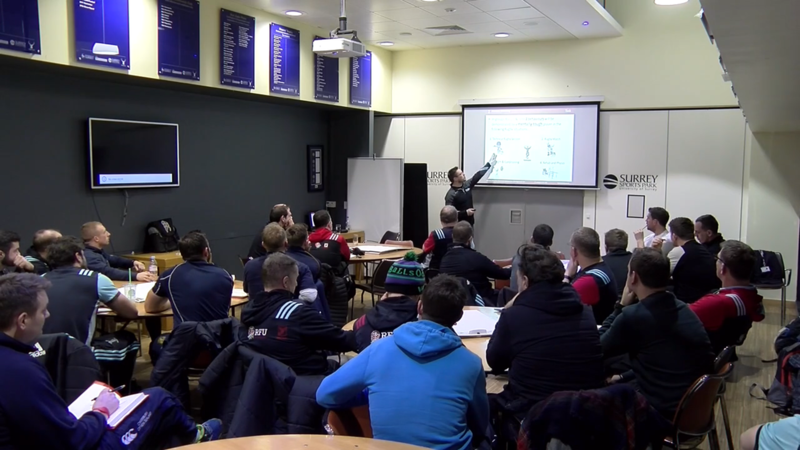 Alex Powell, Lecturer in Coaching Science at Newman University, Birmingham has recently delivered educational workshops at Premiership Rugby team Harlequins to 35 club coaches from Harlequins Ladies, Pathway and Academy. Alex is a Level 3 RFU Coach, RFU Coach Educator and Trainer and is also currently completing his PhD in Mental Toughness and its development in Rugby Union. To address this, as part of his research Alex has interviewed and compared the experiences of 36 world class athletes across different sports comprising of: World Champion combat fighters and coaches; Paralympic athletes and coaches; and elite rugby players and coaches, including World Cup winning players and coaches, British Lions and international players. Following on from the interviews, Alex has conceptualised mental toughness in Elite Rugby Union and created mental toughness scales. The scales were then rated by 468 rugby participants, from grass roots to international performers. The findings of Alex’s study highlighted differences in mental toughness across contexts and performance stages. From the findings Alex designed a research informed, year-long practical mental toughness intervention which was implemented and evaluated at 2 premiership academies. 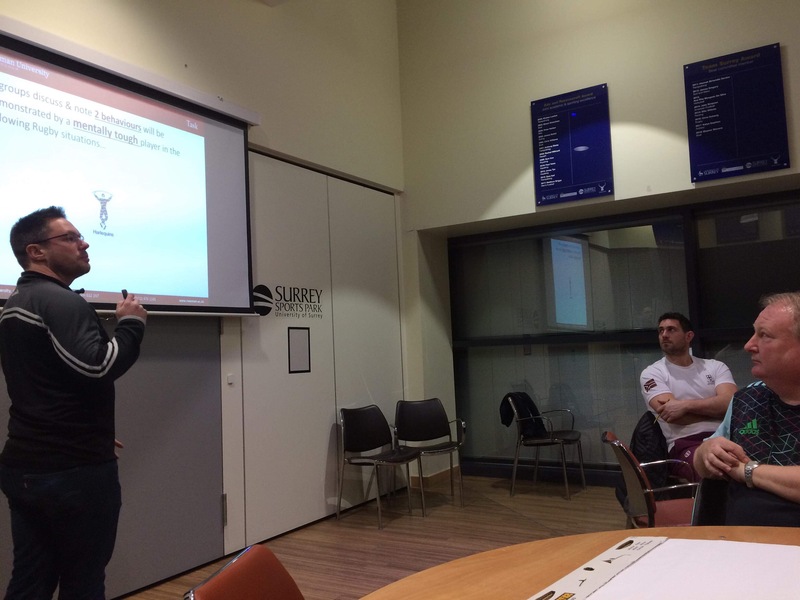 The aim of the workshop delivered to the Coaching staff at Harlequins is to present the research findings of what Mental Toughness is and its perceived development through practical examples and participants accounts. Following the initial presentation, participants engaged in various interactive tasks and were required to apply the mental toughness scales to create practices aimed at developing mental toughness in a number of rugby related scenarios. Gary Street is the Academy Coach Development Officer and Women’s Head Coach at Harlequins, has won five Six Nations’ in a row, 4 Nations Cup and 4 European Cups. Gary was the Head Coach when England Women won the 2014 women’s World Cup and is currently the most successful English rugby coach in history. Gary was UK overall and High Performance coach of the year 2014 and he was awarded Pride of Sport coach of the year and nominated in BBC Sports Personality of the Year ‘Coach of the Year’ and his England women’s team were awarded Team of the Year.